Nigeria born sensational Gospel Recording Artist ANU has release another smashing hit single “I DEY PRAISE MY GOD” which features Multi Award winning, one of the great and most respected Gospel Recording Artist Sammie Okposo. The winner of Esther Awards 2011 and Nominee for the Africa Gospel music Awards UK, and Nigeria Gospel Music Awards for Best Female Artist in Diaspora coined a distinct sound in today’s Gospel music world. With major collaboration with one of the finest Gospel Artist, this hit single is definitely going to keep you off your feet. 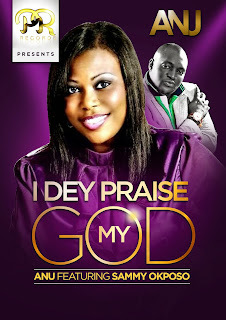 “I DEY PRAISE MY GOD” was produced by the one and only Philip George, one of the best producers both in Nigeria and United States.